Managing affiliate products along with normal products into Magento store is one of the complex and time-consuming task. To make it easier, MageComp has come up with Magento 2 Affiliate Product Links extension that helps store owners to easily manage affiliate products with redirection. The extension creates separate product type instead of merging them with normal products and whenever the user adds any affiliate product to cart it will redirect customers to seller’s web store. Why choose Magecomp’s Magento 2 Affiliate Product Links extension: •	Option to enable or disable extension form backend. 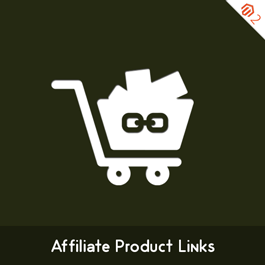 •	You can add affiliate products by selecting product type. •	Set custom text for external product link. •	Option to open affiliate products into new window. •	After setting up extension, product displays in both category and product page.